Plenty of goals, debuts and a milestone in Houston, Texas as the USWNT down Mexico for the second time this week. SCORE: 1-0, min. 3, Pugh. 1-1, min. 17, Ocampo. 1-2, min. 24, Palacios. 2-2, min. 26, Horan. 3-2, min. 34, Lloyd. 4-2, min. 44, Morgan. 5-2, min. 64, Rapinoe. 6-2, min. 69, Morgan. INCIDENTS: CONCACAF Friendly between World Cup Champions, USA and Mexico. The match was played at BBVA Compass Stadium. Carli Lloyd became the sixth player in USWNT history to score 100 career International goals. 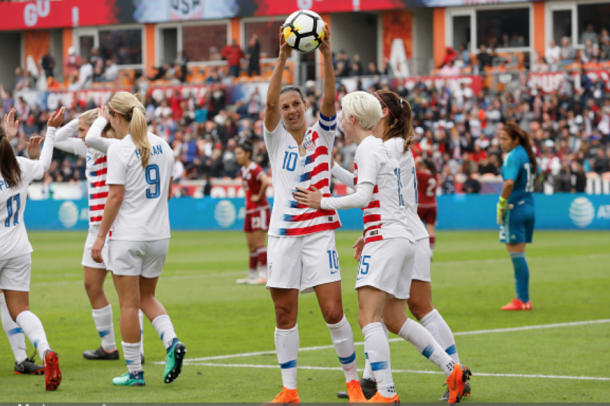 In Lloyd's 252nd USWNT appearance, her milestone goal came in the 34th minute off a lead up by Megan Rapinoe, Lindsey Horan and Alex Morgan. The ball rebounded off Morgan right to Lloyd's head for the finish. The goal would give the USWNT the lead and ultimately be the winning goal of the match. Abby Wambach was the last USWNT player to reach the 100 International career goal milestone. “Interesting, fun one, crazy one,” was how head coach Jill Ellis described the game in her press conference. USWNT and Mexico combined for six goals in wild first half. The first came from Mallory Pugh in the third minute. Like in the previous match on Thursday, Megan Rapinoe sent a through ball past Mexico’s defense to Pugh down the middle who went one-on-one with Mexico’s keeper Cecilia Santiago. Santiago came off her line to challenge but could not reach the ball giving Pugh an open net, giving USA an early 1-0 lead. Mexico would answer twice off two corner kicks to take the lead. The first Mexico goal would come directly off the corner kick from Monica Ocampo in the 17th minute. 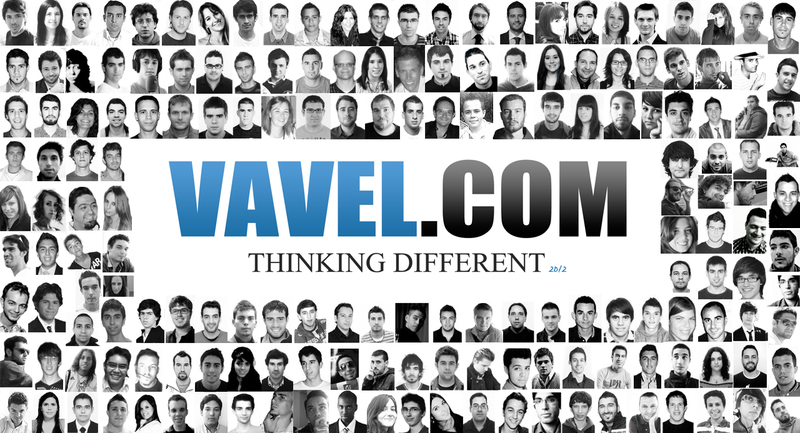 Ocampo sent in a low corner that curved and bounced its way into the US net. US defender Crystal Dunn missed the clearance and goalkeeper Jane Campbell backed herself into the back of her own net. In the 24th minute, Mexico scored their second goal from the same corner. This time forward Kiana Palacios header off the corner kick found the back of the net, for her first international goal. The USWNT would respond quickly to tie the match from a corner kick of their own. Midfielder Lindsey Horan found herself at the end of Rapinoe’s corner for her fifth international goal. After Lloyd’s milestone goal gave the US the lead again, Alex Morgan finished off another Rapinoe cross at the 44th minute to give the US a 4-2 halftime lead. Before halftime Lindsey Horan and midfielder Morgan Brian were subbed off for percussionary reasons. Brian came off in the 29th minute due to right calf tightness. Horan came off in the 40th minute for left hamstring tightness. Both players were involved in rough collisions early in the half. USWNT started to take control of the match in the second half. Mexico seem to tire as the match went on. Rapinoe and Morgan would take full advantage of Mexico’s fatigue. Rapinoe would extend the US lead in the 64th minute. She would score her 36th international goal as keeper Santiago tried to clear a ball away from Morgan outside the box but the clearance ended up at the feet of Rapinoe, scoring on an empty net. Five minutes late Morgan would make it 6-2 off another Rapinoe corner kick. Morgan scored the match’s final goal off her body, giving her a second straight two goal game. Also, the goal is Morgan’s 12th goal in her last 13 matches and 7th goal in 8 overall matches against Mexico. This was Rapinoe’s fourth assists on the day. 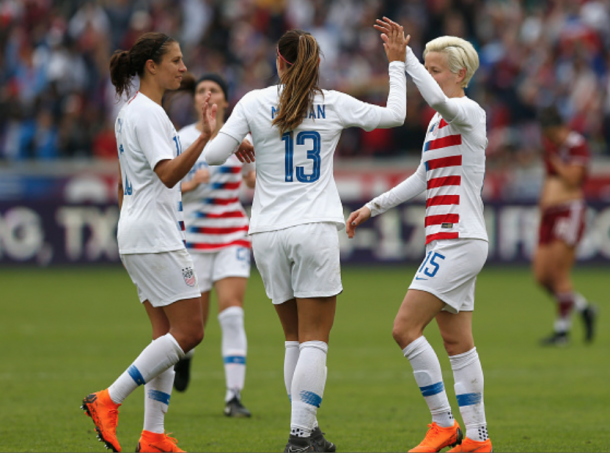 The combination of Rapinoe and Morgan would have plenty more chances for a Morgan hat trick or a fifth assist for Rapinoe but were unable to finish. Rapinoe would finish the match with four assists. The record for most assist in a USWNT game is held by Tiffany Milbrett with five assists. USWNT next matches will be two friendlies against China PR in June. The first match will take place on June 7 at Rio Tinto Stadium in Sandy, Utah. Five days later, the second match will take place at First Energy Stadium in Cleveland, Ohio.